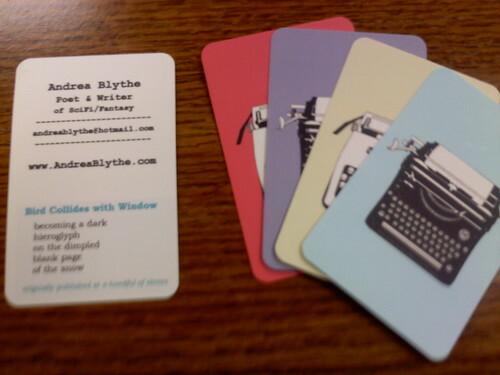 I got my new business cards in! Yeah! I'm planning to use them at FogCon. Just got my programming schedule back, too. I get to do a reading and be on one panel, which is exciting and nerve wracking at the same time! Thanks! I luvs them with all the sqee.